Great Investments Realty provides buyers and sellers with expert assistance in the marketing of residential and commercial property throughout South Florida. 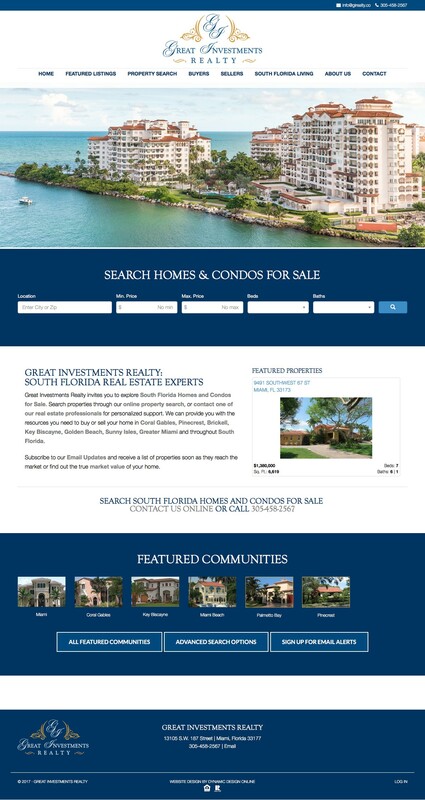 Dynamic Design has managed Great Investment Realty’s web presence since 2005. Most recently, Dynamic Design updated their website to a responsive, WordPress site with IDX search and lead capture. Copyright © 2019 · Dynamic Design Online · All rights reserved.